After a long day of physical work people just want to relax. Hot tubs and saunas are great ways to ease muscle tension and reduce the stress from that long work day. Jenny Bishop is an expert in all things hot tubs, saunas, and pools. This year will be her 28th year working at Placeway Pools, Spas, and Patio. Her favorite part of the job is connecting with every person who enters the store. There are two types of saunas, an infra-red sauna and a traditional sauna that has a heater with rocks that gives you humidity. What are some of the most notable benefits of using a sauna? The traditional saunas are designed to help open up the pores and detoxify the impurities in our body. The infra-red saunas are designed to loosen the muscles having a more direct effect on a person’s muscles. Someone who works out would benefit more from an infra-red sauna than a traditional. What’s better for you, a hot tub or a sauna? They are both really good for a person’s health. The wet water hot tub would have direct flow and pressure on your muscles, such as to your back. Whereas with an infra-red sauna you will use the heat that will loosen up the muscles, but you don’t get the direct flow. It is really a personal choice. Do hot tubs cause any kind of skin irritation? They can. In hot tubs, bacteria can grow very easily because what you’re dealing with is very hot, moist temperatures. So if it’s not balanced and sanitized properly bacteria can grow and people could have an effect like a skin rash. Sometimes people may also have allergies to certain types of chemicals and that can cause a reaction. Can a hot tub or a sauna cause problems while pregnant? Yes, for both of them we always ask that you ask your physician if you are pregnant to use anything over body temperature. Can children use hot tubs and saunas? Yes, however, it depends on the temperature. Young children should not be in temperatures exceeding body temperature for any long period of time. The hotter it is generally you would want to check with a child’s pediatrician or physician. A physician would usually say not to have your hot tub temperatures over 100 degrees for children. Another aspect of hots tub is if you getting your heart above water. If children are using a hot tub, but they are sitting up in a higher seat with only their waist down submerged under water then it’s generally fine. How long should a person stay inside a sauna and hot tub? It’s up to the user because it does depend on temperature and how often people use. For adults, depending on how often you use it, most people generally stay in from 15 to 30 minutes. However, if you can withstand the temperatures then you can stay in longer. People will notice if they are not used to hot temperatures they will become flushed or dizzy, then you should remove yourself immediately. What is the average lifespan of hot tubs and saunas? 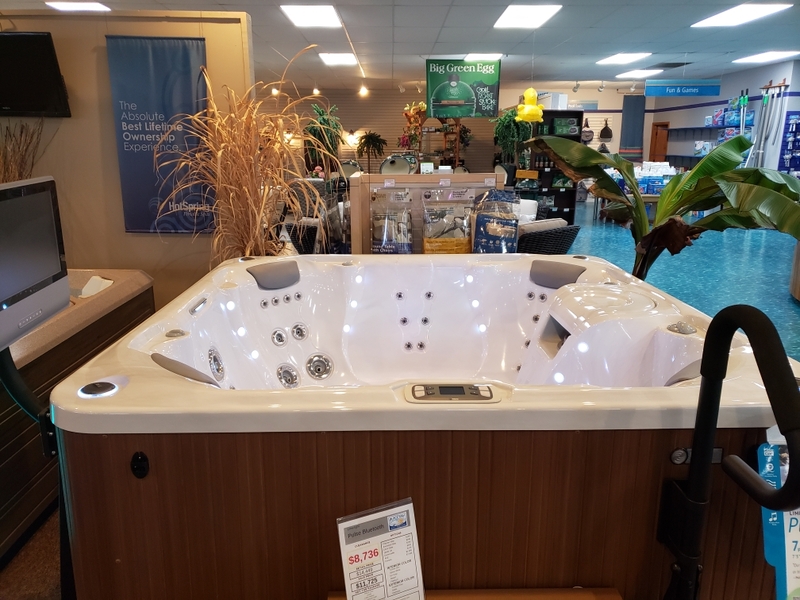 For hot tubs, a general lifetime would be between 20 to 25 years. 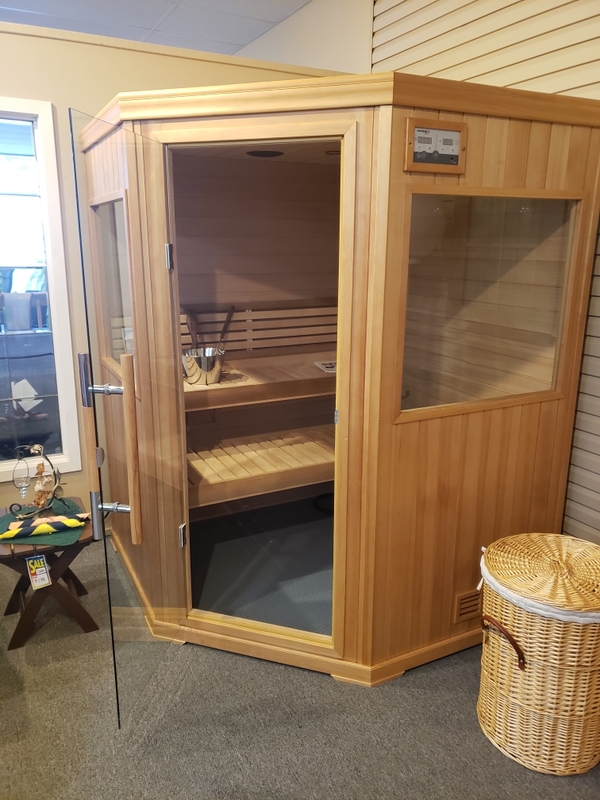 On a sauna, it would probably be longer because you already have a room that is insulted and wooden so every now-and-again you would have to replace the heater which will last between 20 to 30 years. Which do you enjoy more, a hot tub or sauna? I prefer a hot tub because you have the direct pressure to your muscles. If you look at someone who lifts a lot like we do here it can cause certain areas to get tight and the hot tub can loosen those up easier.